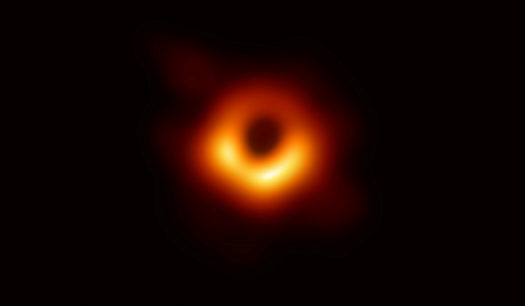 The first ever picture of a black hole was revealed Wednesday when the Event Horizon telescope snapped a blurry image of a black hole in the middle of a gigantic galaxy called M87. This photo though it doesn’t look like much is a remarkable image this black hole is 55 million light years away from earth and is 6.5 million times more massive than our own sun and has a diameter of 24 billion miles. This is a big step for science because black holes by some were thought of as just a theory and not an actual thing but now with this blurry image, we can know for sure that there are black holes in the universe. “A once-in-a-lifetime result,” said Shep Doeleman, director of the Event Horizon Telescope, the international team of scientists who created the image using a network of radio telescopes linked together to form a single, Earth-size observatory. Black holes are created when massive stars run out of their hydrogen fuel making them collapse into their center and pulls everything things around them into them and nothing can escape not even light. Since light can’t even escape this is what gives a black hole its black appearance. “Tho it’s a really blurry image it still interesting to think that the light from this black hole left it 55 million years ago.” Lakewood’s Sam Csora says.